Do you have any of these sleep problems? Take more than 30 minutes to fall asleep? Awake during the night for more than 30 minutes? Sleep less than 6 hours per night? Sleep more than 9 hours in a 24-hour period? Wide range of sleep and wake times? Go to bed later than 2am? Does this happen 3 or more nights per week? Sleep is connected to all areas of our lives. Alameda County Behavioral Health Care Services. 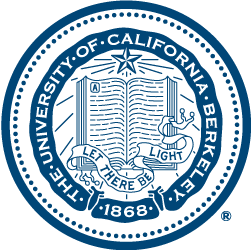 Join the UC Berkeley Sleep Team! The UC Berkeley Sleep Team has partnered with Alameda County Behavioral Health Care Services to offer innovative sleep coaching to clients at the Oakland Community Support Center. This research project will provide sleep coaching, and then test whether these one-on-one sessions have a positive impact on the health and well-being of participants. Better sleep may improve your mental and physical health, and the results of this study may also help others like you to improve their sleep. Be part of a study that may help others like you to improve their sleep. cost and no medication is required. A project coordinator will contact you. We will schedule an interview. You will keep a sleep diary for one week. You will wear a special watch that records movement. If sleep coaching is likely to help you, then you will be paired with a sleep coach right away, or you will be scheduled to begin coaching in 6-8 months.